BERNE, Switzerland, December 17, 2012 (ENS) – Switzerland’s Parliament has approved a motion banning single-use plastic shopping bags. Both houses of the Swiss Parliament Thursday voted to forbid the distribution of the plastic bags. The next step is for the government to implement the ban. Swiss Environment Minister Doris Leuthard said the ban was not necessary, as the Swiss system of waste handling currently works well, which is the position taken by the Swiss plastics industry association. 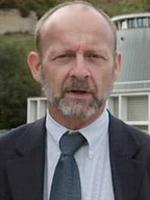 The motion to ban plastic bags was introduced by Dominique de Buman, a member of the lower chamber of the federal Parliament, the Nationalrat, and vice-president of the PDC, the Christian Democratic People’s Party of Switzerland. De Buman has been working to persuade his fellow legislators the ban plastic bags since October 2012, when he first filed a motion to that effect. Even the G8 acknowledged the problem, and at a session on the environment held in 2008, Japan, China and South Korea called on other countries in the world to give priority to reducing of waste production and the reduction of the manufacturing and the use of plastic bags. Many have heard this call and have banned plastic bags: China, France, Rwanda, Uganda, Eritrea, Australia and several states in India. De Buman writes that Switzerland should serve as an example to other countries by controlling plastic bag waste. Single-use plastic bags are used for less than an hour, writes de Buman, but when released into the environment plastic bags take hundreds of years to disappear. De Buman’s motion, too, indicates that dioxins are emitted during incineration of plastic bags. KVS said today that it is disappointed in Parliament’s plastic bag ban decision, especially as arguments against the ban were presented by the federal council, the Bundesrat, and an advisory commission. KVS says that single-use plastic shopping bags represent just half a percent of the total amount of plastics used in Switzerland. The Swiss waste management system provides that 99 percent of the country’s plastic waste is currently either recycled or used for electricity generation or heating, KVS says. “It is a bad message to send that we can’t manage plastic bags, as we are discrediting ourselves as problem solvers if we have no other solution for plastic bags than to prohibit them,” said KVS. 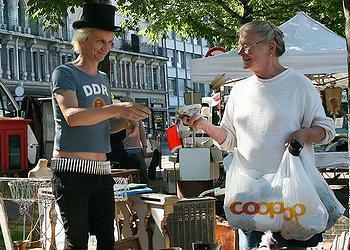 De Buman argues that the two largest Swiss retailers alone consume more than 240 million plastic bags at checkout.